Discussion in 'Herp Help' started by Anthony0739, Feb 11, 2019. How Old is the python? From what I've heard the heater could cause some heat damage to the mesh. It depends on the snake but it may climb up and potentially touch the roof. 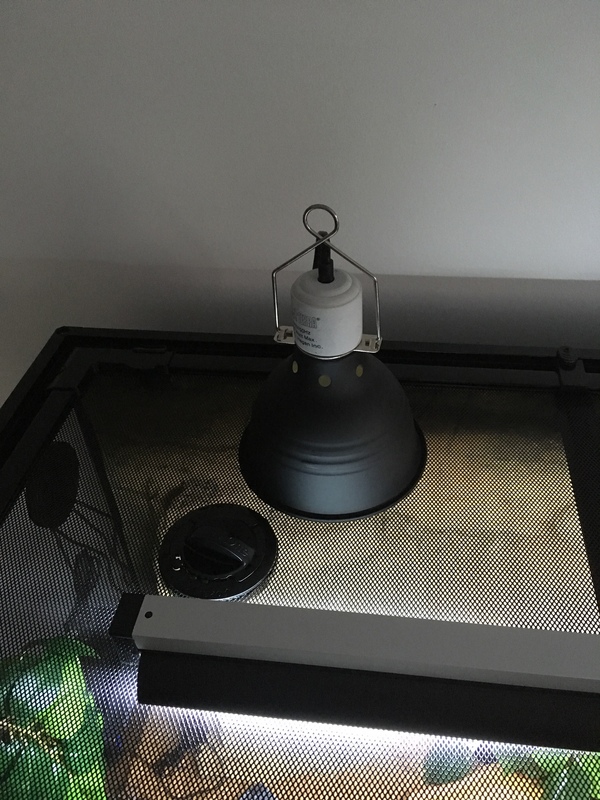 My setup is similar in the fact that it has wire mesh with a heat source above it, though I use a heat bulb. It has gotten the mesh hot to the point of discolouration but aside from that it hasn't compromised the security of the tank and I haven't had problems with my year old Bredli trying to get near it. 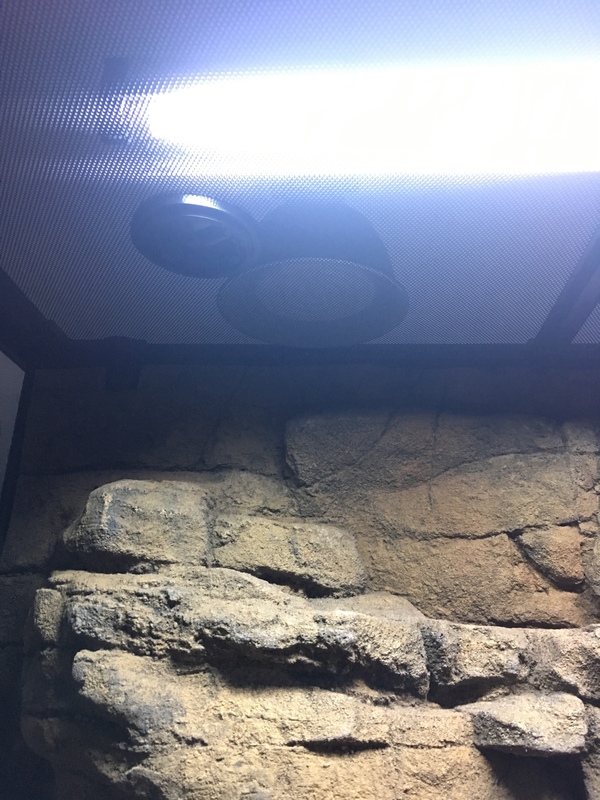 If you're extremely worried about it you could try an alternative way of providing a hot spot for the snake like a heat tile attached to a thermostat or a heat mat on the exterior of it's a tank. Vivariums with mesh lids are designed for placing the heat source inside the enclosure. That why there is a ‘plug’ in the middle of the roof and on one side. With a heat source on top, the mesh will block a significant percentage (» 30) of the heat from entering. People often use inordinately high wattage heat sources to try and compensate, greatly increasing running costs and potentially creating other problems. The blocked heat is absorbed by the mesh, causing it to heat up. Radiant heat is also rapidly lost through mesh tops via convection, as warm air rises and flows out easily through the mesh. This can be addressed by blocking a portion of the mesh with something as simple as a towel. Personally, I’d recommend a heat cord & tile placed at the base of the side with the plug in it. If you wish to use a globe heat source, then make use of the roof plug and have it in an appropriate safety cage. By appropriate, it has to be small enough mesh so even Antaresia cannot get through it, not allow a snake to sit on top of it and pass the touch test. If you cannot place your finger on safety cage and hold it there for about 30 sec due to it being too hot, then it fails the touch test.